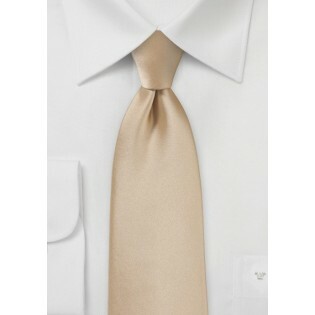 An exquisitely crafted necktie in a golden shade of Oatmeal, perfect for wedding parties and unforgettable proms. 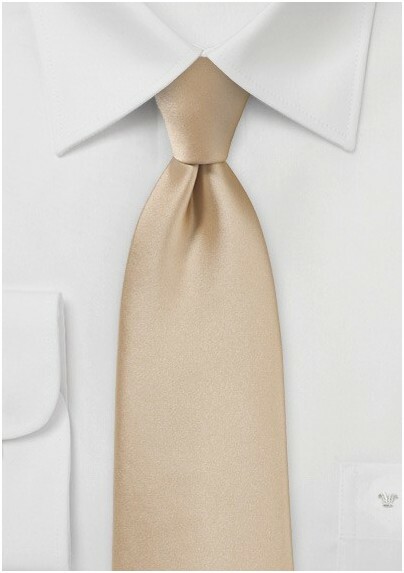 This tie is made by the fashion-forward designers at Puccini in a wrinkle-resistant microfiber that has the same luxurious feel and look of silk. This tie is worn best at formal occasions, and looks spectacular under a classic black tuxedo.